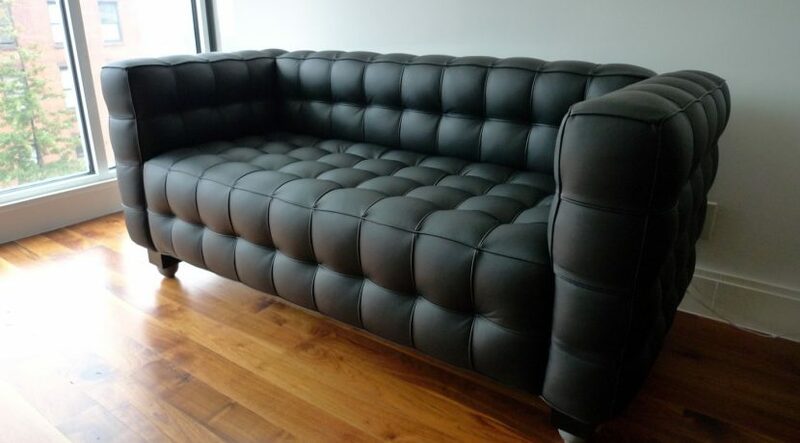 Ink stains on a leather couch are bad news. It’s nearly impossible to get ink out of leather. Most of the time, you’ll need to hire professionals to get the ink out and restore the leather. If that’s not an option for you, you can try removing ink from your leather couch with the following methods, at your own risk. It’s important to clean up the ink stain as quickly as possible. The longer stains have to set in, the harder they are to get out. 1. Wipe up the ink with a dry paper towel, trying not to spread the stain. Use a small amount of moisturizing soap and water to clean what doesn’t come off with the dry paper towel. 2. Apply a commercial grade leather care product to the spot. Choose one that is made for removing ink stains. This is the safest way to go when you have expensive leather furniture. Then apply leather cleaner on the stain. Follow up with some leather protector to restore the leather’s finish. 3. Dip a q-tip or cotton swab in rubbing alcohol and rub it over the spot. Dry the area with a blow dryer so the alcohol evaporates before eating away at more of the leather. Only try this if you don’t have access to leather care products. 4. Saturate the stained area with hairspray. Immediately wipe up the hairspray, and then apply a small amount of moisturizing soap and water. As with the alcohol, this should only be done if you don’t have access to leather care products.